10-pack of RotoTail large soft plastic worm tails. Use as a full-length tail, or shorten by breaking off segments. Silver pearl with silver flake soft blade with red neon worm body. 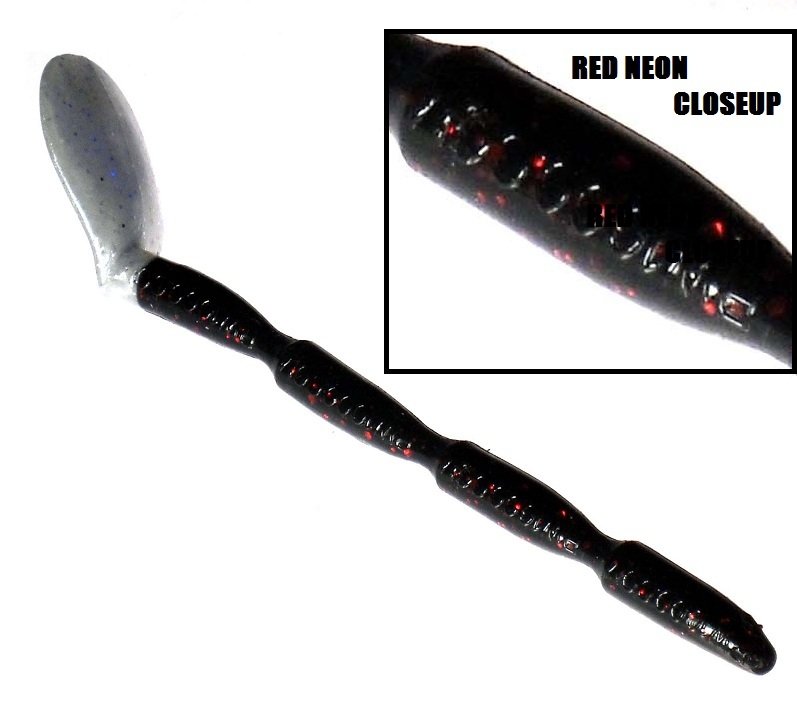 Tail spins, sparkles and calls fish, as do the red sparkling flakes in the red neon worm body.